15ct gold solid opal ring. Product code: R323 Categories: Sold Items, Sold Rings. 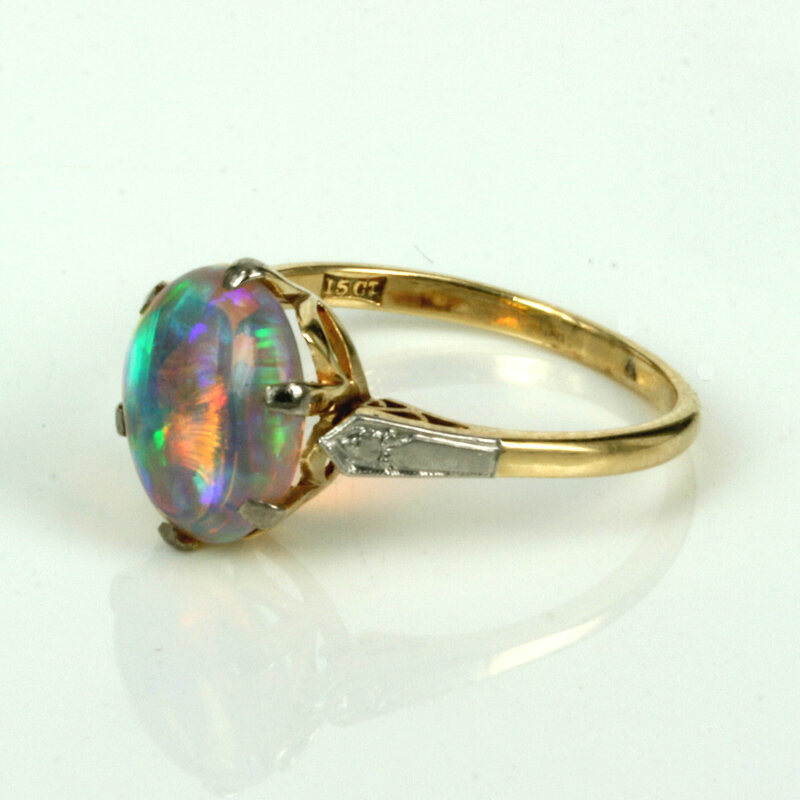 Here is a gorgeous antique solid opal ring dating from the early part of the 1900’s and set in such an elegant design. 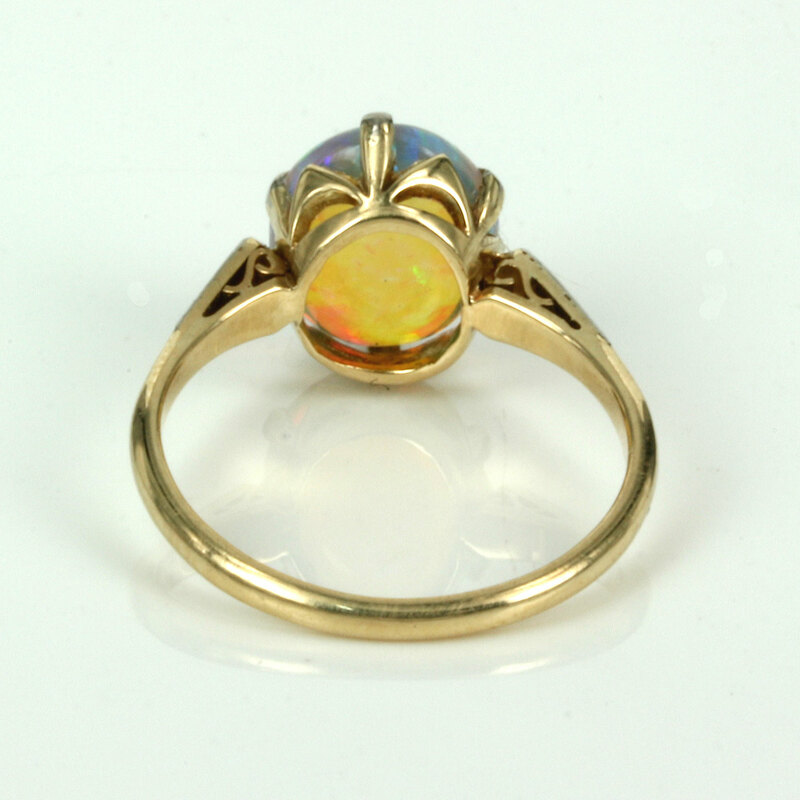 All hand made in 15ct gold, the ring is beautifully claw set to show this opal to its fullest. The fire coming from this opal is incredible with so many flashes of red all the way thought the colour spectrum to green and blue. The setting for the opal measures 11.9mm by 9.8mm or 17.4mm from where the white gold starts on one side across to the other side. 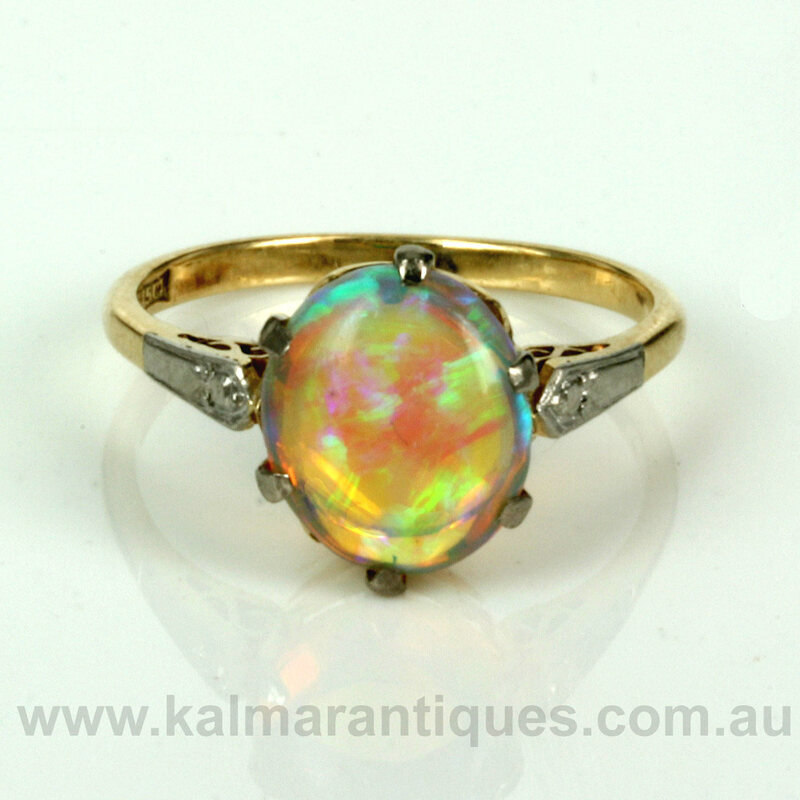 Australian opals are regarded as the best in the world and this solid Australian opal is just magnificent and set just perfectly.